If there are bucket list destinations in retirement, becoming a savvy traveler can help save on expenses, experts advise. Flying with a tour group can help with airline costs. This Southwest jet is landing at Long Island MacArthur Airport in Islip on March 16, 2010. Photo Credit: Newsday / J. Conrad Williams Jr. In retirement, you finally have time to take those bucket-list trips. The challenge is figuring out how to make your dreams come true while watching your pennies. Here's how to be a savvy traveler in retirement. Create a vacation budget: Be realistic about how much you can spend. Itemize expenses and prioritize. "If four-star accommodations are key, cut back in other ways," says Kevin Gallegos, a vice president with Freedom Financial Network in Phoenix. 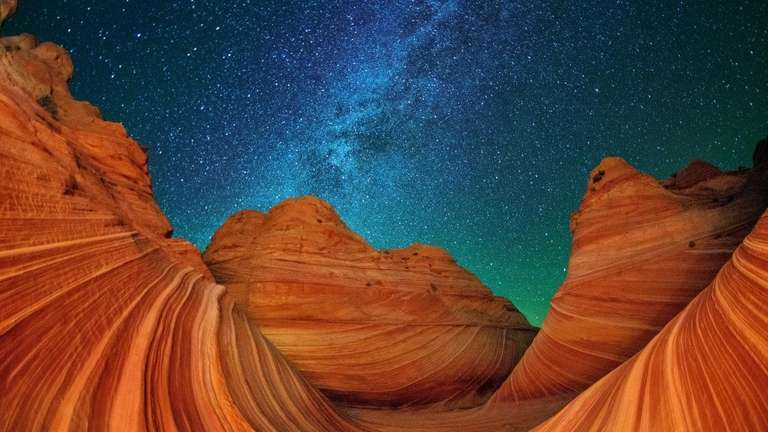 SEE PHOTOS National Parks: Stunning images around the U.S. Team up: Find a roommate or travel companion. "You'll pay more for traveling solo," says Greg Geronemus, co-CEO of smarTours in Manhattan. The best way for seniors to save on airfare is traveling on a group tour that includes airfare. "Tour operators have significant purchasing power and are able to pass these savings to travelers." Timing is everything: You have the freedom to travel whenever, so go when others are staying home. According to Travelzoo, December, January, May and September are very good for deals, but avoid holidays. The first two weeks of December are sweet spots for cruises, because everyone is planning for the holidays. Think like a local: Many zoos, museums and botanical gardens offer free days. Check their websites to help plan your trip. Before leaving home, cruise sites like Groupon for discounts on activities and attractions where you're going. Be creative: There are many options for accommodations. Rent a home or condo, check out HomeAway.com. Do a home exchange or go the Airbnb route. Having a kitchen is key; you'll save big-time by cooking some meals. Take advantage of networks like Twitter and Instagram. Set up alerts, connect with others who have similar goals and can offer tips. Weekend tripsFrom day trips to Connecticut to a couple of nights in Vermont, here are suggestions ... Weekenders New York CityPlaces to see and things to do in the Big Apple. Family travel guideVacations can be a great bonding experience for the whole family.